Be the first to share your favorite memory, photo or story of LuLu. This memorial page is dedicated for family, friends and future generations to celebrate the life of their loved one. Lulu Fannie Hall, 79, was born May 18, 1939 in rural Guthrie County, south of Sheeder Dairy to her parents Theodore R. and Fannie A. (Slater) Hall. She was the middle child of five children. Her parents were tenant farmers, who also raised a large garden to feed the family; hence her love of gardening. Lulu always said she was raised in “Sheederville”, as there were Sheeders to the North, to the East, to the West and to the South! She went to country school, Seeley No. 9, where she graduated 8th grade. Her favorite teacher was Chris Sheeder. Lulu attended Guthrie Center High School and graduated in 1957. After graduation, she worked at the France nursing home, east of where she lived. When it closed, she took care of Clara Sheeder. During this time, she went on a blind date with her future husband, Kirby. They married August 12, 1960 in Carroll and set up house on the Parker place, south of Jon Owen’s place. Shortly after that, they remodeled an old schoolhouse and it became their home on the north part of Kirby’s home farm. They had three children, Leora, Kevin, and Mark. They worked diligently and expanded the farm through cattle, hogs, sheep,chickens, and crops. Lulu was considered the shephard of the flock and raised sheep for 30+ years. In 1972, they moved to the lower farm house on Hwy 44. In 1983, Lulu and her sister, Louise, took CNA training at the New Homestead. They both planned on working after they completed the training, but their husbands kiboshed that idea. Lulu was a true caregiver and provided care for Golda Laughery (Kirby’s mom) and later years her husband, Kirby, honoring both their wishes to remain on the farm, until they passed. Lulu helped diligently alongside Kirby on the farm and in 1990 began assisting Leora with a larger garden and baking her famous pies for Farmer’s Market. She attended the Des Moines market for 28 years, her last was September 1, 2018. On September 4th, she got sick with a duodenal ulcer that landed her in the hospital and later in the New Homestead, where she passed away peacefully on October 29, 2018. When Kevin and Mark were in junior high they started trapping and Lulu was the designated driver. As Mark has continued to trap throughout his life, her highlight in the fall was when he stopped by for a hot cup of coffee and to show his catch. As a child, Lulu had helped her Dad trap coyotes for their bounty. Lulu loved to garden, can the fruits of her labor, tend the flowers, cook, and bake pies. In her leisure time, she enjoyed reminiscing, looking through her mother’s scrap books and listening to old time country music. She also enjoyed reading, playing games and spending time with her grandchildren teaching them the art of cooking and gardening. She is known for her pies, beef and noodles, peach dumplings made with little white Hall peaches. 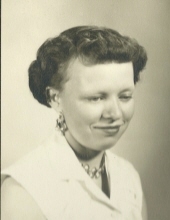 She was preceded in death by her husband, parents, siblings, Richard Hall, Louise Campbell, Lois Chumos, Ralph Hall, nephews Kelly Merryman, Doug Campbell, Rick Hall, niece, Dixie Worshek. She is survived by her children; Leora Laughery of Guthrie Center, Kevin (Helen) Laughery of Guthrie Center, Mark (Carol) Laughery of Yale. Grandchildren; Logan (Annemarie) Laughery, Ethan Laughery, Cameron Laughery, Julie O’ Karma, Travis Laughery, Christal Laughery, Kimberley Laughery, two sister-in-laws Zona Merryman and Darlene Hall and numerous cousins, nieces and nephews. To send flowers or a remembrance gift to the family of LuLu Fannie Laughery, please visit our Tribute Store. "Email Address" would like to share the life celebration of LuLu Fannie Laughery. Click on the "link" to go to share a favorite memory or leave a condolence message for the family.